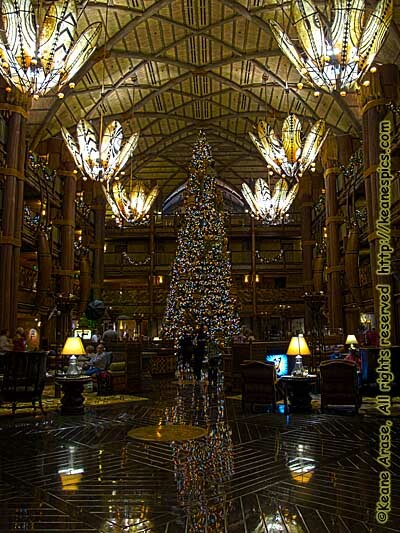 Animal Kingdom Lodge (Jambo House) Atrium. HDR picture taken December, 2010. I've stayed at Jambo House (then AKL) three times. At one time it was a bargain staying here, but once Disney had you hooked on the AKL drug, the price seems to have risen disproportionally with other resorts, offering less of a discount than other deluxes. However, there's no denying that the views are gorgeous, the food is excellent, and if you really need interior corridors, this place has 'em. While Uzima and Arusha Savannas are Jambo's own, Sunset Savanna is shared with Kidani. The stairways are outside (true in many, if not all of the first through sixth floor stairways at Jambo,) so you can get an pretty good view of the savannas there, and I've been able to talk to the CM's (the real animal keepers) when you're on the lowest point of the stairway. Anyway, if you want a better picture than what you get through a dirty window, find a stairway. There are also more than a few little nooks around the place to visit, some displaying African art or culture, some overlooking the savanna with chairs that beg to be sat in along with an adult beverage. Jenny, Cathy, PiC and I had reservation at Boma during Christmas in 2010. While I was there, I took a few pictures, including a few 4-stop HDR pictures. 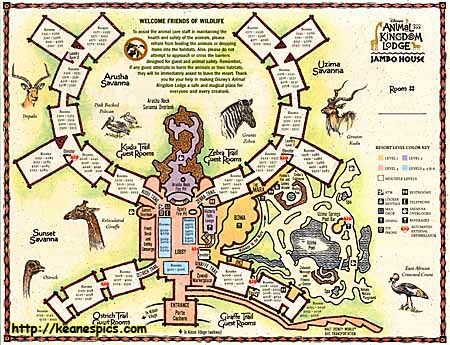 End Animal Kingdom Lodge - Jambo House.